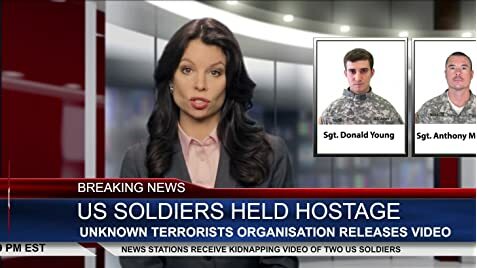 American Hostage pulls back the curtains on a terrorist plot centered on a group of terrorists holding two American soldiers hostage on U.S. soil. They demand the release of all prisoners of Guantanamo Bay or they will kill the soldiers. Are you sure you are not drunk??! really??! 7.5 out of 10??! are you sure you are not drunk??! Based on IMDb ratings i chose this movie to watch, but again it is approved to me not all ratings can fetch you the dream. a real catastrophe; no matter the cast or the scenario or acting. this movie should be shown to students as a sample of "how not to make a movie!". the angles of shooting, the way actors or actresses looking at each other and specially the funny stress controlling actions. Anyway i thought maybe the voters were drunk while rating! so i tried to get drunk and watch the movie! but you know what?! i couldn't get further than 10 minutes. To people who still have not watched this; DON'T!